Half Off all Specialty Martinis. At Nikko Japanese Restaurant & Sushi Bar, we appreciate a good special. It’s why six nights a week we offer a daily drink special. From authentic Japanese beers and sake to domestic brews and specialty martinis, we strive to carry a wide array of drinks—the type of drinks that accentuate the brilliance of your sushi and Japanese food. 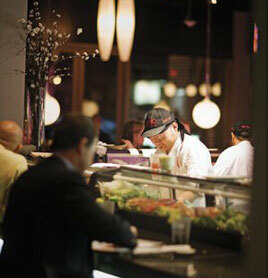 It’s all a part of our mission to serve up the best sushi in Charlotte and provide our guests with an all-around fantastic fine dining experience.